Welcome to Day 2 of 12 Days of Holiday! 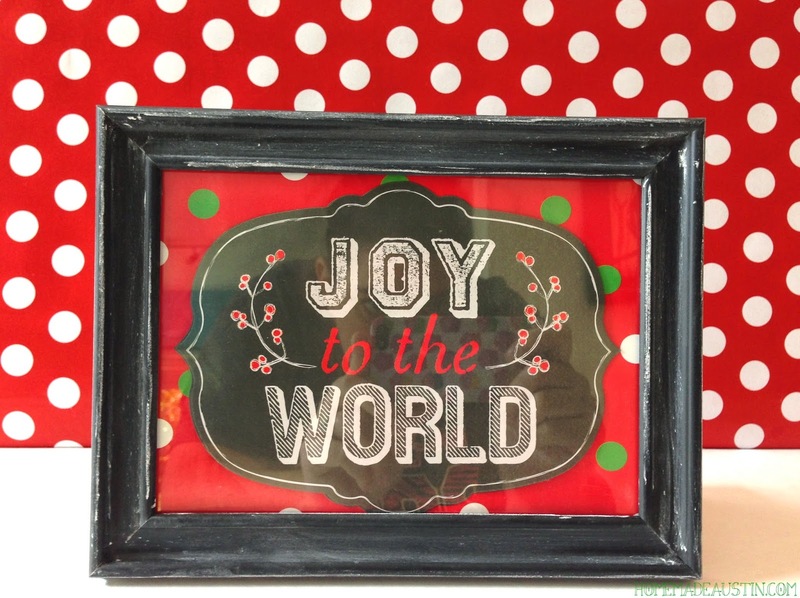 For the next couple of weeks, I'll be sharing quick & fun ways to help make your holidays pop. 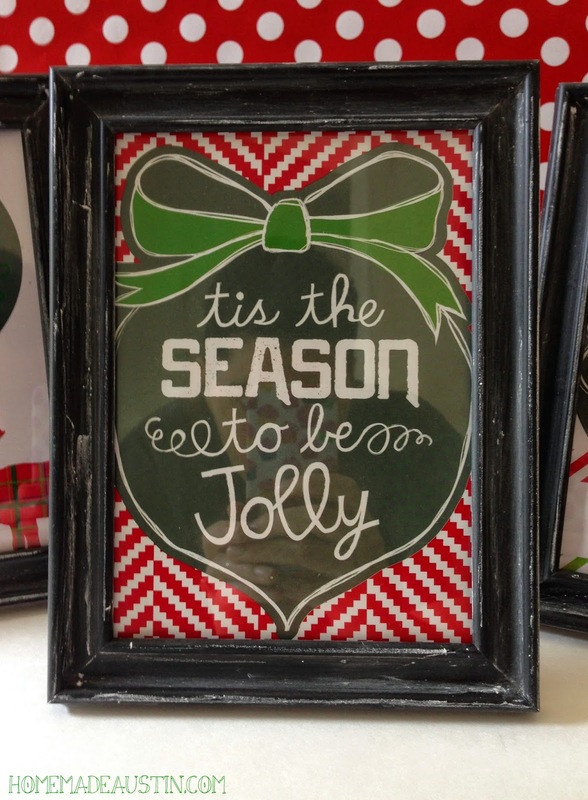 Today is no exception, and to boot, this festive decor only cost $6!! For 4 stellar frames. That will make any home sparkle. 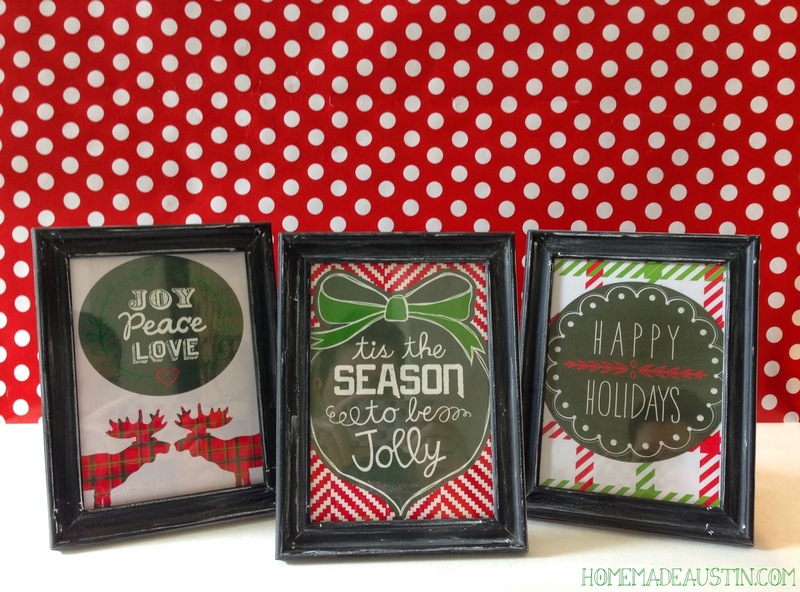 The reason this pretty little project was so inexpensive is because it's made with goodies from Dollar Tree. 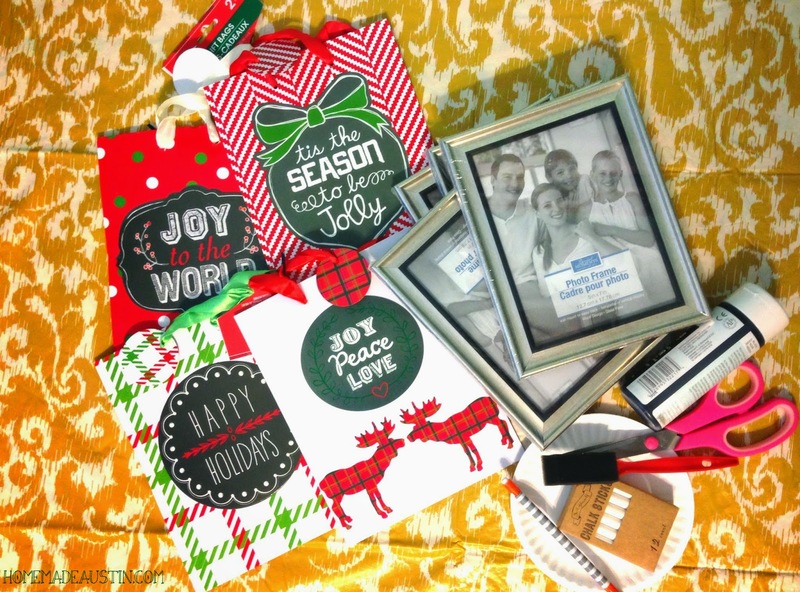 I just love their holiday decor, gift wrap & craft supplies, it's like a one-stop shop to help make things bright & cherry, on the cheap. I could not get over how cute these little gift bags were & I wanted to do something with them so I could enjoy them, instead of just dropping a gift for someone else inside. I know it's a little selfish, but I just couldn't resist the chalkboard look. Or the pair of plaid moose. And they were two bags for $1! Those sweet 5x7 frames were also from Dollar Tree. Score! 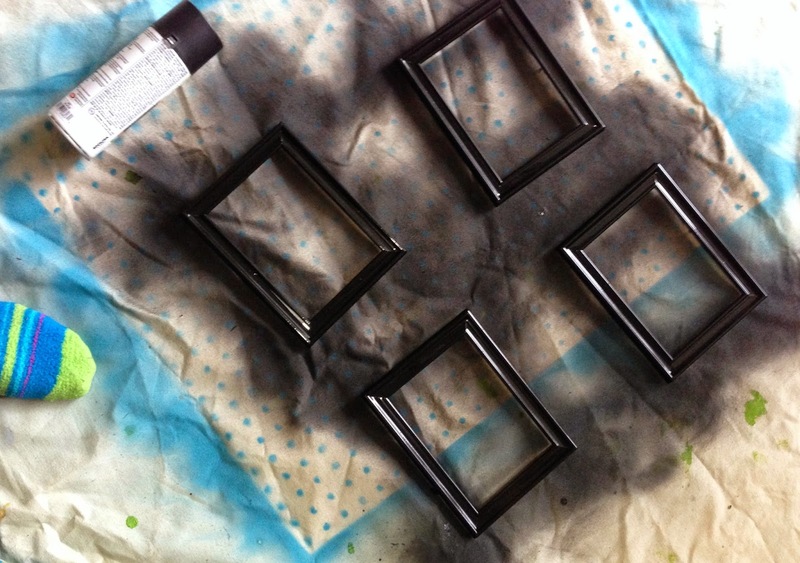 I wanted to jazz the frames up with a chalkboard style finish, so I sprayed these with chalkboard paint, but the silver frames, as-is, would be really cute too & would make the entire project so quick! I started this project by grabbing a few supplies. 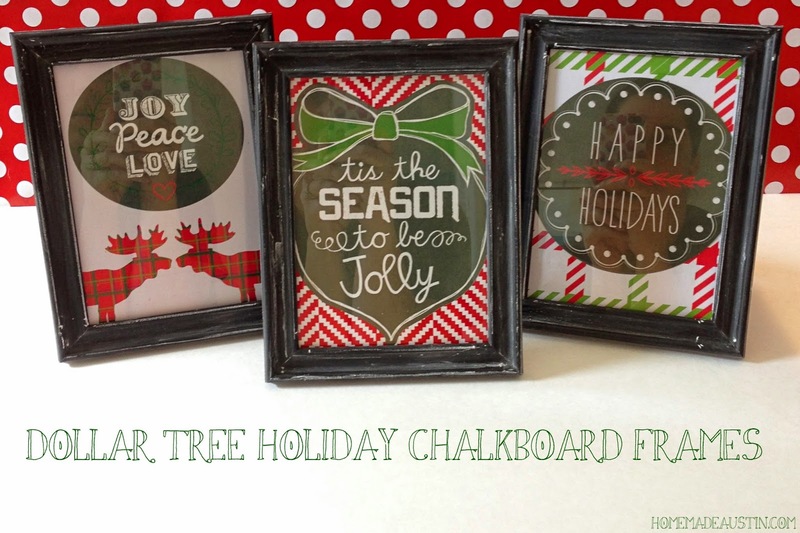 In addition to the small gifts bags & 5x7 frames from Dollar Tree, I grabbed some chalkboard paint. NOTE: I ended up using chalkboard SPRAY PAINT instead of the brush-on, so it would stick better. I highly recommend spraying them. When I tried to brush it on, it didn't go on smoothly. You'll also need some chalk, a pencil & some scissors. That's it! Start by taking apart the frames. Then use the insert as a guide and using a pencil, trace a border around the image you want to frame. The trace marks will be faint, but strong enough that you can use them to cut your artwork out of one side of the bag. 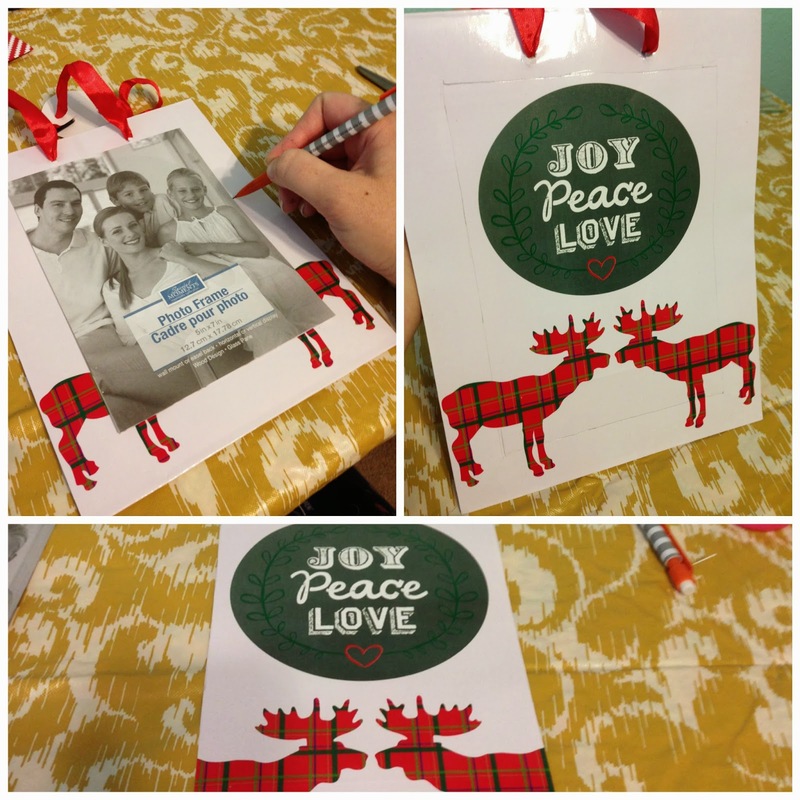 Save the second side of the bag, I'll be showing you a fun use for those in a few days! 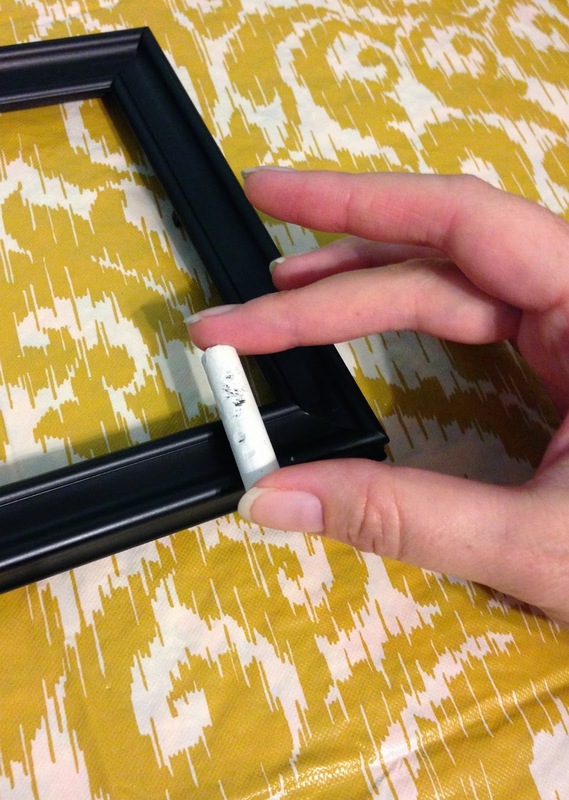 See, if you don't want to chalkboard your frames, the silver, as-is, is really pretty! Spray your frames. Be sure to wear a mask & gloves & use a drop cloth in a well ventilated area! Follow the instructions on your can of paint & be sure to wait at least 24 hours for them to completely dry. The next step is to take a piece of chalk & mark those freshly painted frames up! You want it to look a little random, like a real chalkboard that's been used, so run your chalk around the edges until you get the look you want. I LOVE these! 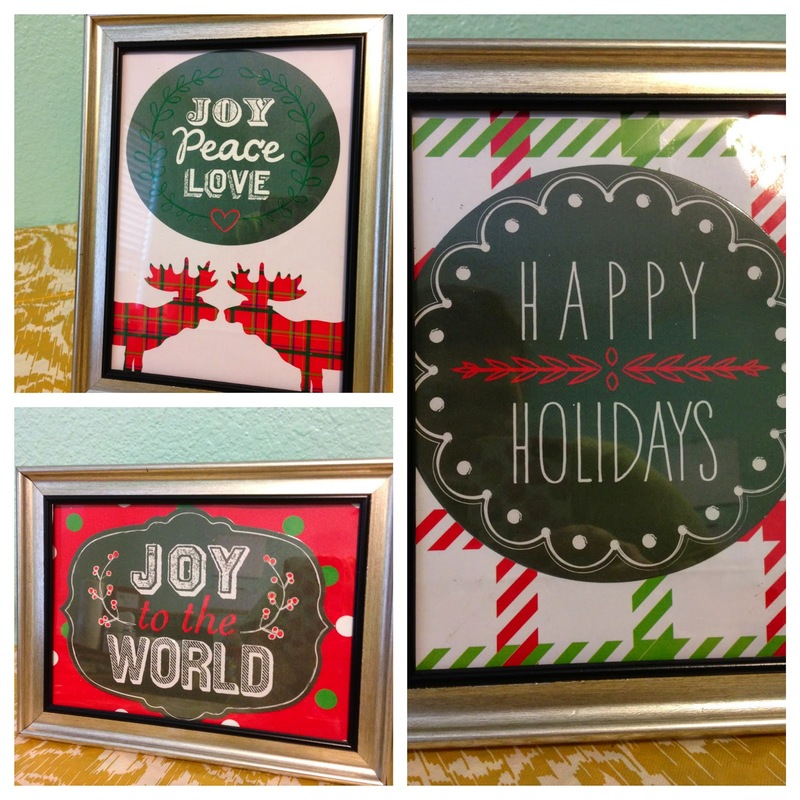 They're so festive & colorful & you can put them just about anywhere. They'd be great for your home, but would easily add a little holiday cheer to your desk at work, or would be a fun pick-me-up for a friend or family member.